If you have ever let a toddler play games on your unprotected iPad Air 2, you have probably experienced that sense of dread thinking about the little one dropping it on the kitchen floor. We want to share technology with children, but don’t want it to turn our tablets into $500 paperweights. 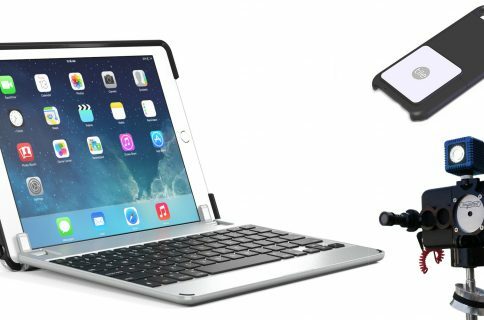 Gumdrop makes a Drop Tech case for the iPad Air 2 that is specifically designed to keep your tablet secure when little Bobby wants to read Wheels on the Bus while chasing his sister around the living room. 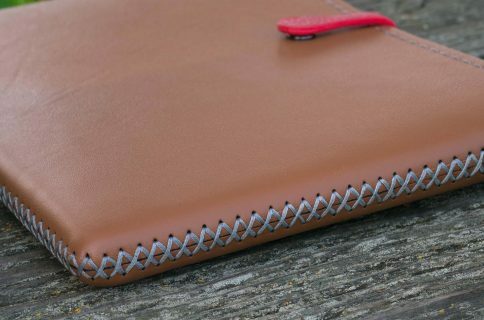 The exterior of the case is made from silicon and has a soft grip feel. The interior is made from rigid plastic and the corners have been reinforced with rubber bumpers. It has been certified with a military standard of 810G. According to the company, it can successfully protect 26 drops from four feet. Plus, it’s internal frame has been tested from six feet onto flat concrete. The front and rear cameras are exposed and there is a cutaway for access to Touch ID. There are also dust-protection covers for the device’s volume and Wake buttons. There is also an integrated, replaceable screen shield that snaps into place over the iPad screen. 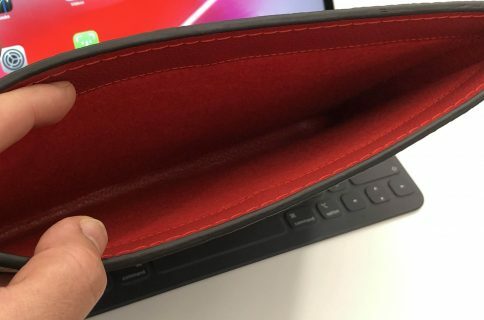 The case does add significant bulk to your iPad Air 2. However, when your four-foot tall four-year-old decides that your tablet isn’t fun anymore and drops it in exchange for seeing what the dog’s food tastes like, you won’t mind having the extra bulge. 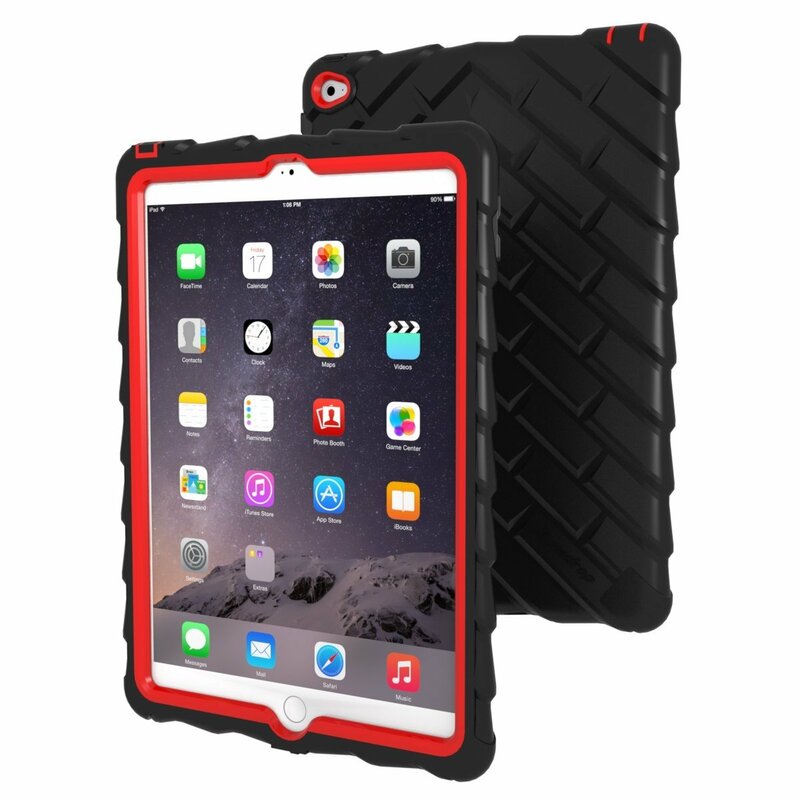 The Drop Tech case for iPad Air 2 comes in black, blue with lime green, red with black, black with red, or white with gray and costs $60 on Amazon. The company does have a version for the iPad Pro, which also has a holder for the Pencil, available for preorder now with an estimated delivery date of Dec. 3.